The Securities and Exchange Board of India (Listing Obligation and Disclosure Requirements) Regulations 2015 was notified on 2nd September 2015 and will come into force from 1st December 2015. In this post we will discussion definition of Stock Exchanges, Listed Entities and other related terms. Securities transactions are governed by securities law and take places at stock exchanges where securities of listed entities listed under listed agreement are traded. Listed entities may list their securities either on Main Board or SME Exchange. Stock exchanges essentially are (a) body or body corporate, (b) assisting, regulating or controlling (c) the business of buying, selling or dealing (d) in securities. Listed entities are entities which designated securities issued by it listed. 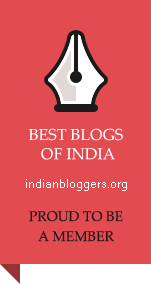 Please note: This blog invite readers to share their comments, suggestions, hardship, queries and everything in comment section. This blog post is not a professional advice but just a knowledge sharing initiative for mutual discussion. This entry was posted in CorpGov, Governance and Responsibility, Listing obligation and Disclosure Regulation, SEBI and tagged India, Listed Entities, Listing, Listing Agreement, Listing Obligation and Disclosure Requirements, LODR, SEBI, Securities, Securities & Exchange Board of India, Stock exchange. Bookmark the permalink.